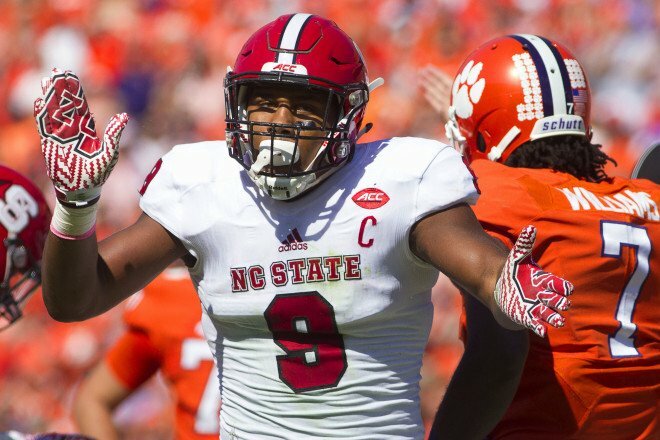 Clemson-NC State Preview: Can The Wolfpack Take The Reins In The ACC? Teams like North Carolina State (NC State) are accustomed to being ‘the other team’ in the ACC. They are the team that plays well and tries really hard. But they just don’t win enough to be relevant outside of the conference. They are the overweight kid in gym class you are happy for when he gets a participation ribbon at the end of the year. Clemson is the big dog on campus. They are the team to beat, the defending national champions, and one of four teams currently in line to play for the national championship this season. Despite the losses to the NFL and graduation, the team appears to be just as competitive as it was last season. The question for them is whether they can stay healthy enough to remain in contention. If they hadn’t lost quarterback Kelly Bryant to a concussion early on against Syracuse, they’d probably still be undefeated (and Alabama would be the No. 3 team and Notre Dame No. 4). But they did so now they are sitting in the No. 4 spot. The slightest misstep could knock them out of the race. It doesn’t necessarily even have to be a loss. If they squeak by Florida State, the Citadel, or South Carolina, depending on how No. 5 Oklahoma is playing, they could lose their spot. If they want to remain in the hunt for back-to-back national championships, they have to win out. Not just win out, but win convincingly; especially against the better teams like No. 20 NC State. But the Wolfpack would like nothing more than to be the reason why Clemson doesn’t get a chance to repeat. Offensively, the two teams are similar but different. Clemson is currently ranked 33rd in total offense with 446.4 yards/game. NC State is not far behind at 40th in the nation and 441.9 yards/game. The difference comes in how they gain those yards. NC State likes to lean on quarterback Ryan Finley and the passing game (26th; 280.4 yards/game). Clemson likes to lean on their quarterback as well, but his contribution is two-fold. He paces the passing game (66th; 226.6 yards/game), of course, but he’s a vital part of the Clemson run game (25th; 219.8 yards/game) as well. So, how do you stop either team? For NC State, the likely strategy will be for them to try to shut down Clemson’s run game and limit the passing game. The Tigers have three capable and talented runners in Travis Etienne, Bryant, and Tavien Feaster so that task will be easier said than done. But the strength of the NC State defense is in its d-line, so they could very well get the job done. But while it is entirely possible to imagine the Wolfpack slowing down the Clemson run game, NC State’s defense has struggled against the pass (109th; 264.1 yards/game). They will need to figure out some way to slow them down because their offense is going to have a challenge on its hands. Running against Clemson’s defense is tough (18th; 119.1 yards/game) as is passing (7th; 162.9 yards/game). It is more fun to see different teams win, but for NC State to pull off the upset, they pretty much need to knock Kelly Bryant out of the game. But last week against Georgia Tech he showed no ill-effects of his concussion or ankle injury. So, unless they want to play dirty, chances are it will not happen. Stopping the run has been NC State’s thing this season. But then Notre Dame ran wild over the Wolfpack last weekend. Expect Clemson to do the same. 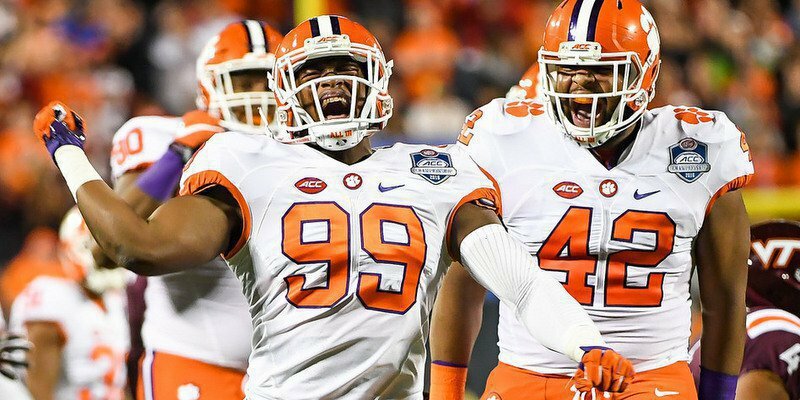 Oddsmakers have Clemson favored by eight points. The Tigers will win, but probably by ten points or less. If you really want to bet on this one, take Clemson and give the points, but don’t be shocked if NC State covers the spread.